Learn a variety of wirework techniques for sterling silver wire including coiling, wrapping, looking, pounding and hammering. Patricia has packed so much into this class that it's 2 days and extra hours--it goes from 9:30 to 5:30. 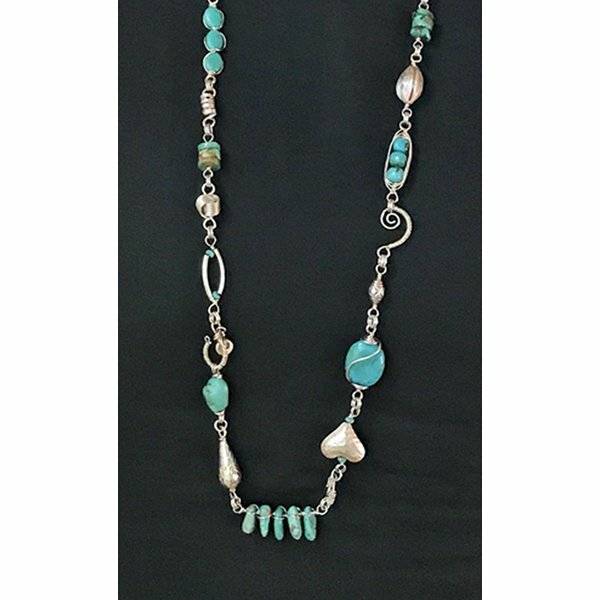 She'll schedule day 2 directly with you.This necklace was inspired by jewelry designer Cindy Wimmer. Please call the shop to schedule this class. Patricia may offer more than one class on her teaching days. The first 2 students to register determine what will be taught on a given day.